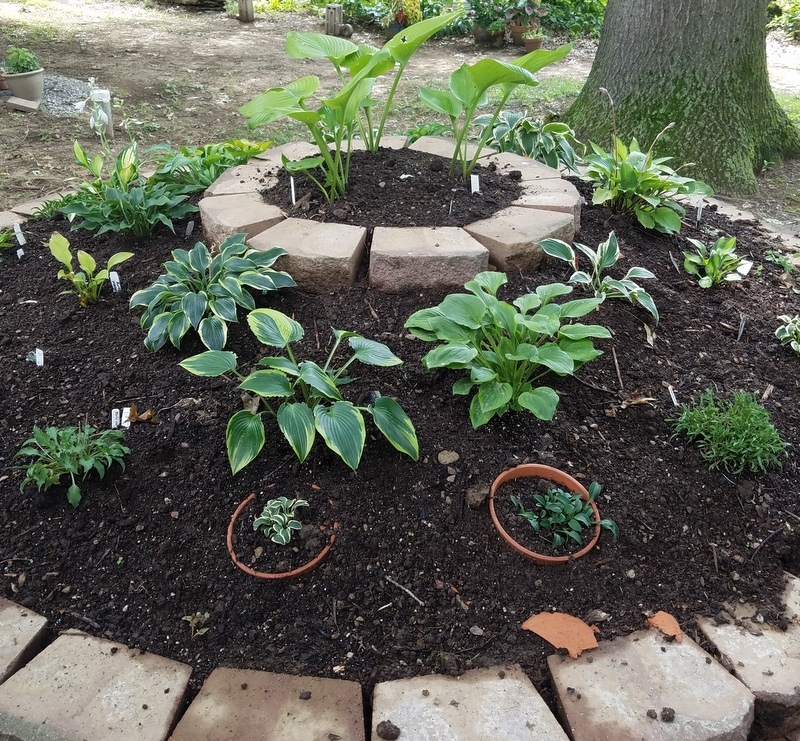 This will be the only garden rant you’ll ever read connecting Abe Lincoln, Southern Indiana, hostas and dirt. We will begin with the dirt. Lots of dirt. A sprawling pile of fresh dirt. Its source was the hole created digging the new foundation for an old dream; a back-of-the-house family room from which to sit and admire our gardens free from heat, mosquitoes and blossom end rot. A Heineken in hand is always a useful companion. That pile of dirt was in the heavy shade of a home-grown sugar-maple transplanted as a sapling in a wheelbarrow about 40 years ago. My son and two of his neighbor buddies helped with that. The sapling was about six feet tall at the time. Now it’s closer to 50 feet. Looking out our family room window I can still those boys helping with the planting. I also now see them in person on occasion. They’re all grown up now, too. When you live in the same house as long as we have, life tends to come full circle. So anyway, here’s this pile of dirt demanding to either be used on the shaded site or be moved into sunlight for yet another perennial garden bed – something I need like another bagworm infestation. Sudden inspiration led to a garden “work fit” – that overwhelming, clinical, diagnosable, horticultural need to immediately fix or change something no matter how stupid the idea. The cure was at hand. As I looked past the dirt pile at one of those other perennial beds I noticed it had been shaped with the help of curved landscape bricks. That bed had long ago matured into a solid mound of ornamental trees and perennials. Those curved bricks were no longer needed. 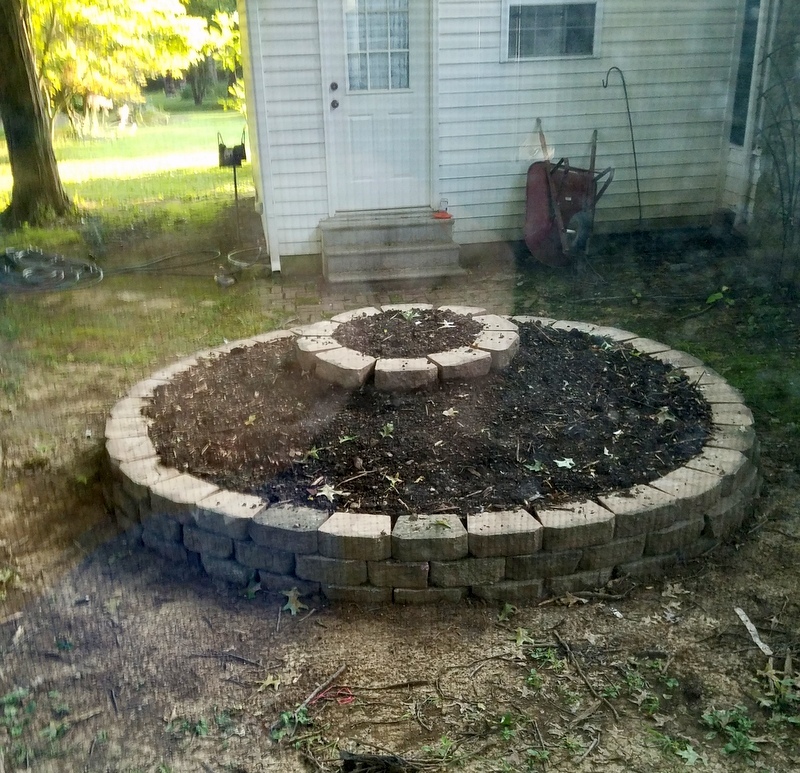 But if somebody were to move those curved bricks about 30 feet to form a tight circle around that sprawling pile of dirt, a guy could have something new: A circular hosta mound. Rising up in the barren shade and visible just out the window of a new room. Suddenly lunch, dinner, the doctor’s appointment, the neighbor kid’s wedding, the phone call from the IRS could wait. This had to be done. Now. The pieces were all there. A new family room. A pile of dirt. Deep shade. Curved bricks needing a new mission. Their immediate future could include a hosta mound about 12 feet across to be enjoyed with a Heineken in hand. I’m nowhere near a hosta geek, but I’ve always liked them; their leafy presence and rising flowers provide a low-maintenance treat in otherwise tough areas. Yes, there’s always that slug thing. But maybe they wouldn’t want to climb that high, or they could be treated with the tried-and-true solutions of diatomaceous earth, egg shells, copper wire or a flat pan filled with Heineken – a terrible, but perhaps necessary waste of yeast, barley and hops. I have learned that our hostas mostly originated in China, Korea and Japan. 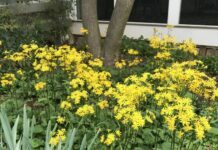 They can dominate shaded areas with an amazing variety of sizes, shapes, blended colors, fragrant flowers and stupid names like ‘Outhouse Delight’ and ‘Pineapple Upside Down Cake.’ Some miniatures are barely four or five inches across. The largest – such as Sum and Substance – can get four to five feet across. We tend to forget about such distant points of plant origin, mostly figuring they all came from five miles away at some aisle-clogged, big-box nursery section of Lowe’s. 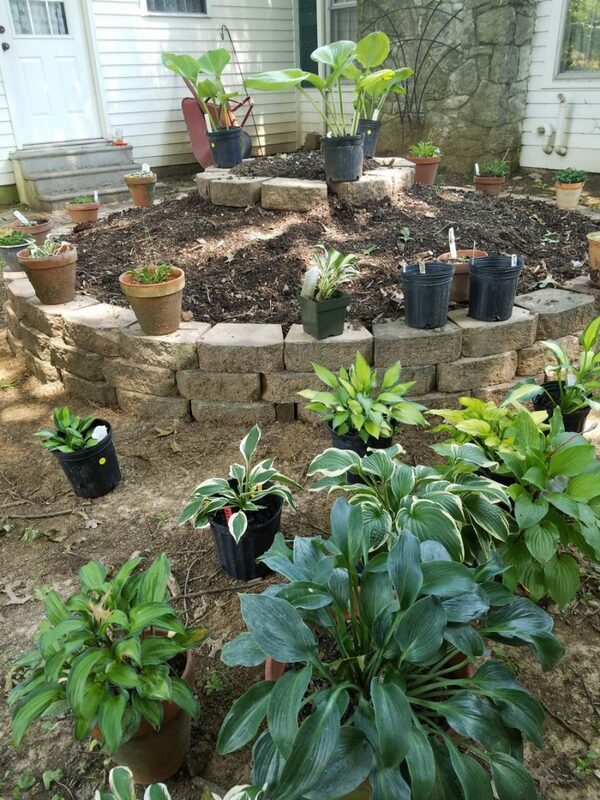 Truth be told, that hosta journey from Asia to our new raised bed in Southern Indiana began in the 1700s as plant explorers first sent them back to Europe. From there they eventually made their way to the United States in the early 1800s, but the big flood began in the early 1860s when one Thomas Hogg Jr. was sent to Japan by President Abraham Lincoln to serve as U.S. Marshall. Hogg was our Hosta Harbinger. His family started a nursery on Manhattan Island in the 1820s on land where 23rd Street and Broadway now intersect. 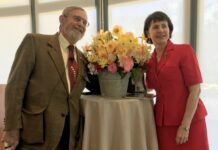 He began shipping hostas and other cool Asian and Japanese plants back to the states during the Civil War. Thus, President Lincoln – who grew up and developed into the man he became in Southern Indiana, a fact all but lost to history – is very much part of the Hogg Hosta Connection leading to a guy growing a raised bed about 80 miles from Abe’s early-1800s Hoosier home. Once our hosta bed idea was unleashed, all work proceeded in “work fit” fashion. We quickly moved the curved bricks and created the lower level of the bed. That part was OK, but it needed a curved-brick crown to literally seal the deal. Additional dirt for that came from The World’s Biggest Compost Pile, a rotted mound of black, crumbly soil we have created over the past 25 years from dead plants, weeds, grass and the occasional lost pair of cotton garden gloves. The word “friable” was invented for such glory. Using our trusty 35-year-old Kubota tractor, it took about five scoops of friable to do the trick, followed by the placement of the brick crown. Our hosta-rapture was complete. A lesser man would have had tears in his eyes. All that remained was the planting of about 30 hostas in circular rows. 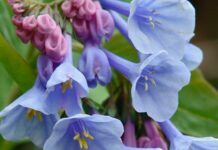 Among the best was the miniature ‘Holy Mouse Ears,’ a creamy, blue-green beauty that can get six inches tall and sounds like an exclamation of surprise. Moving up the row was “Paul’s Glory,’ the 1999 Hosta of the Year that’s all chartreuse and blue-green and will eventually get a booming 25 inches tall and 55 inches wide. At the top for now – and it will be years until this skinny bed fills in – are three ‘Sum and Substance.’ It’s the ever-dependable monster that will stretch thick, heart shaped leaves to 60 inches wide and 30 inches wide, with fragrant white flowers rising 38 inches in the sky. 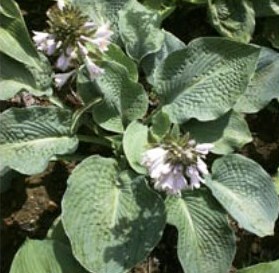 We will continue to experiment with the zillion hosta cultivars. We have decided to call the new location their “Gettysburg Address.” Abraham Lincoln – the name of a hosta by the way – would be so proud. 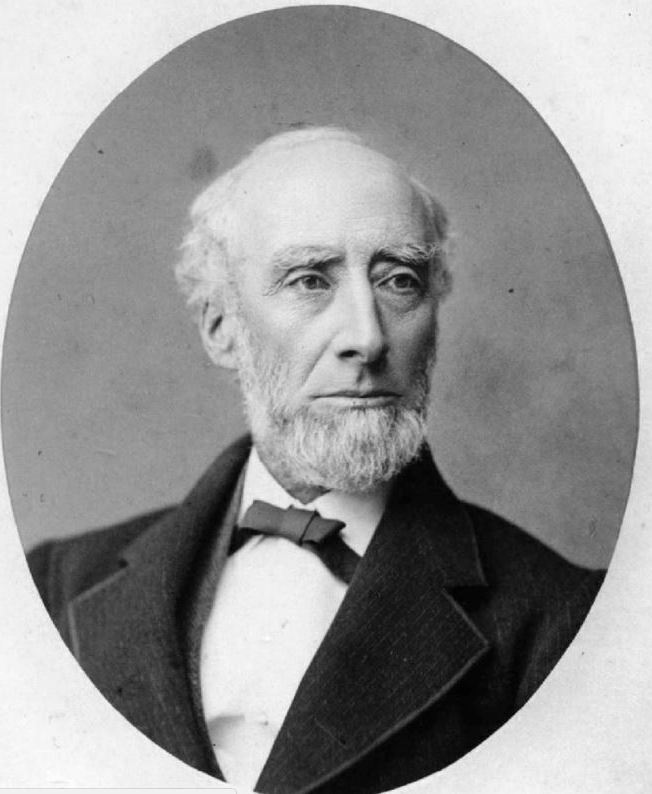 Photograph of Thomas Hogg, Jr. (circa 1887), courtesy of the LuEsther T. Mertz Library of the New York Botanical Garden. Abraham Lincoln hosta via NH Hostas. Next articleWe had a deal! Anything in the new bed for winter interest? Slugs don’t care what type of beer you use, save the good stuff for yourself and get them a Budweiser. 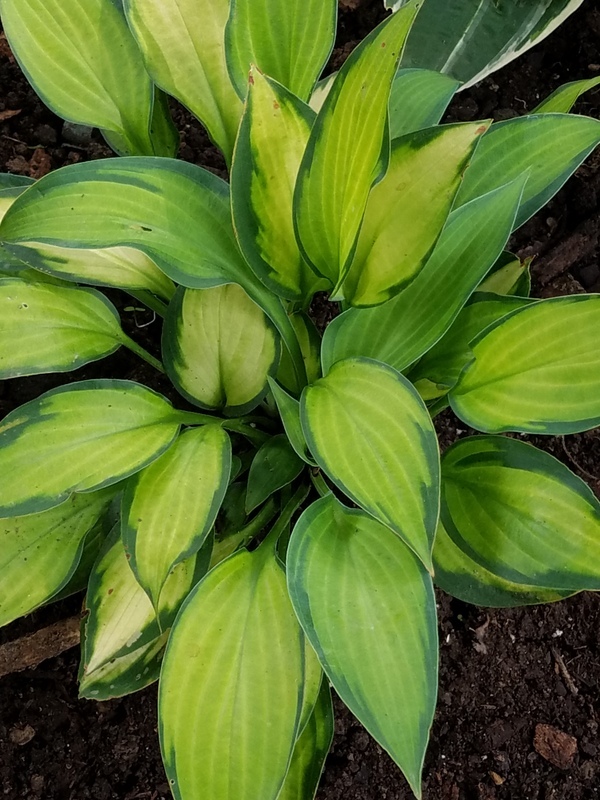 I’ve never seen the mini hosta at Lowe’s or HD – where should I look for them? Hopefully, you don’t have brazen deer or bunnies to mow the plants down with their munching. Plant spring bulbs in it? True..I’ve got some stale Bud lite – which may be redundant. Great idea on bulbs…short ones.. Your definition of “work fit” is absolutely epic. I laughed until I stopped. I’m thinking you mean Blumen Gardens in Sycamore IL? Such a great place, funky design built out of the (half) ruined warehouse / industrial space they developed. Equally nice people too. I try to stop through whenever I’m anywhere nearby. Bob, what a great idea! Your new bed looks just right. I always enjoy your humor and your writing. Your article and photo were so pleasing that l copied you….not with another bed, which l need not at all, but as a cluster of cobalt blue pots of hostas near a seating area. I’m happy with it, thanks. Just send me one new hosta a year for the rest of our lives.